Mark Williams defeat from 8-5 up really surprised me because, as Judd Trump himself acknowledged, he actually did lose that match, as opposed to his opponent winning it. What I mean is that very uncharacteristically from 8-5 up, Williams looked vulnerable under pressure and started to make mistakes that you wouldn’t expect from a player with his experience and records. I’m not sure what happened there, but, for me, this is a bit of a concern for Mark’s fans ahead of the Crucible. Ronnie O’Sullivan swept to a convincing 9-3 defeat of Stuart Bingham to set up a blockbuster semi-final clash with Judd Trump at the Coral Tour Championship in Llandudno. The Rocket’s mouth watering meeting with Masters champion Trump will be played tomorrow over two sessions. 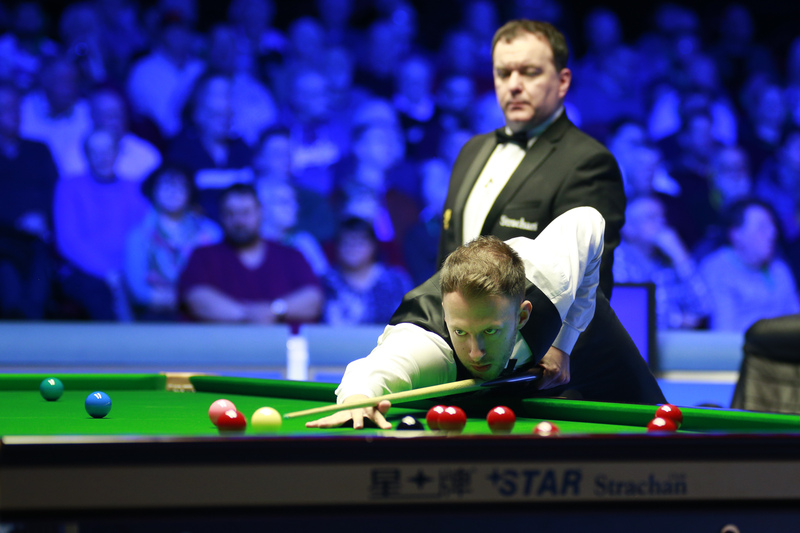 The pair have already met in two finals so far this season, with Trump winning on both occasions at the Northern Ireland Open and the Masters. O’Sullivan and Trump are level at the top of the Coral Cup standings on £130,000, the winner is derived from who earns the most prize money across all three of the Coral Series events. They hold the first two tournaments between them, with Trump having won the Coral World Grand Prix and O’Sullivan claiming the Coral Players Championship title. Five-time World Champion O’Sullivan can also equal Stephen Hendry’s record of 36 ranking event wins with victory this weekend and would become world number one if he were to claim the title. Bingham leaves Llandudno with the consolation of £20,000 for qualifying for this week’s elite eight man event and will now turn his attention to the upcoming China Open in Beijing and the World Championship in Sheffield. They came into this evening with O’Sullivan leading 6-2 and he continued to push for the finish line when the action got back underway by taking the opening frame. There was then a marathon tenth frame which lasted 49 minutes, including a 20 minute spell without a pot. The balls fell awkwardly as reds nestled around the blue, which was covering the bottom left pocket. Eventually O’Sullivan negotiated the situation and secured an 8-2 advantage. Bingham pulled one back, but it was too little too late as 35-time ranking event winner O’Sullivan came through a 9-3 winner. Mark Allen survived a fightback charge from Kyren Wilson to edge through a 9-7 victor and set up a semi-final meeting with Neil Robertson. The Pistol is enjoying one of his best seasons on tour and currently tops this season’s one-year list having won silverware at the International Championship and the Scottish Open. Wilson had trailed 6-2 after this afternoon’s session, but he significantly upped his game this evening and turned the clash into a thrilling contest. However, when play got underway it was Allen who continued to press on with a fine century run of 123 to move 7-2 in front. Following that Wilson claimed two frames on the bounce, before a contribution of 83 helped him to close the gap to 7-5. Former Masters champion Allen then showed great character to counter from 54-0 down in the following frame with a break of 69 to move three frames in front and one from victory. Contributions of 56 and 45 then helped Wilson to close within a frame at 8-7. Wilson had looked to be in position to force a decider, before breaking down on a break of 58. From there Allen crafted a gutsy run of 71 to come through a narrow 9-7 winner. I very much doubt that Ronnie enjoyed this session, despite winning it 3-1. That very lengthy frame, featuring a long battle around a cluster of reds, with the blue blocking a top corner pocket, isn’t the kind of fluent stuff he likes to play. But he stayed very, very patient. I saw very little from the Mark Allen v Kyren Wilson match, only the last two frames or so. Mark Allen was 7-2 up at one point I think, and was pegged back to 8-7. 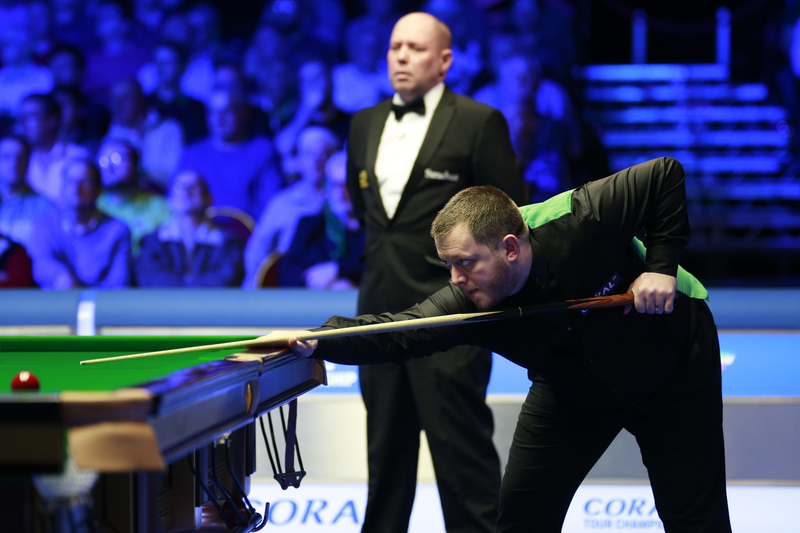 Yet, when Kyren Wilson missed that red in the green pocket, Allen came back to the table, looking determined and calm. The balls weren’t particularly well situated, but he made no mistake. This was in stark contrast with what I had seen from Mark Williams earlier. Mark Allen is back working with Terry Griffiths and, IMO, he will be a real contender at the Crucible. Here are some more images taken by Tai Chengzhe – Tank you Tai! “Maybe I should join the Seniors tour, I have spoken to them, it is exciting – and so this could be my last World Championship, as you can’t play both tours. Today, Ronnie and Judd will battle it out over 19 frames. Judd has won their last two finals, but Ronnie is playing better than he was in Belfast and, unless he has a very, very bad day in office, I doubt that it will be one-sided as was the Masters final. Regarding the Coral Cup standings, Mark Allen can’t win it, but all other three are still at the races. Whoever wins today could still be overcome by Neil Robertson tomorrow if the Aussie (the real one) wins the final. I believe that the Tour Champinship, with the long distance matches, can be really a good test for the world championship. 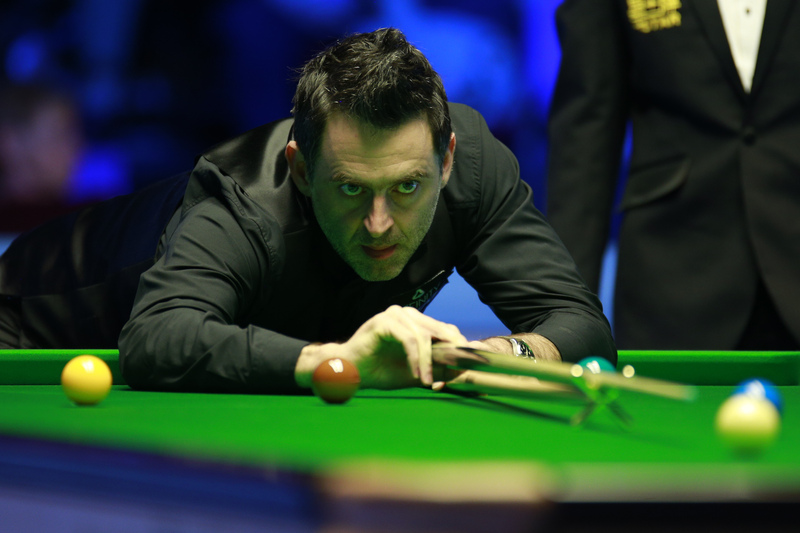 I was impressed by Ronnie’s attitude during that long frame against Bingham. He was relaxed and patient. It’s a good sign because that kind of frame can actually happen at the Crucible. Ronnie is playing since the Players Championship at a very high level. He’s strong in every department: break-building, safeties, long distance shots, and overall his mental attitude is solid as perhaps never before. And, yes, me too, I’d hate another defat to Trump. But it’s what it is. Seniors ? that sounds like twittery type talk again !. What happened to the breakaway tour ?. 2 matches from official world number, if he makes it………. Whats not to like !